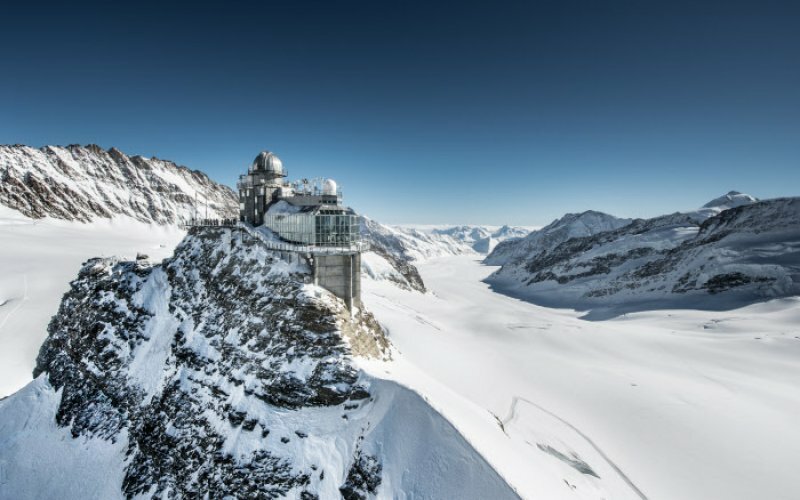 Jungfraujoch - What is included with the Swiss Travel Pass? 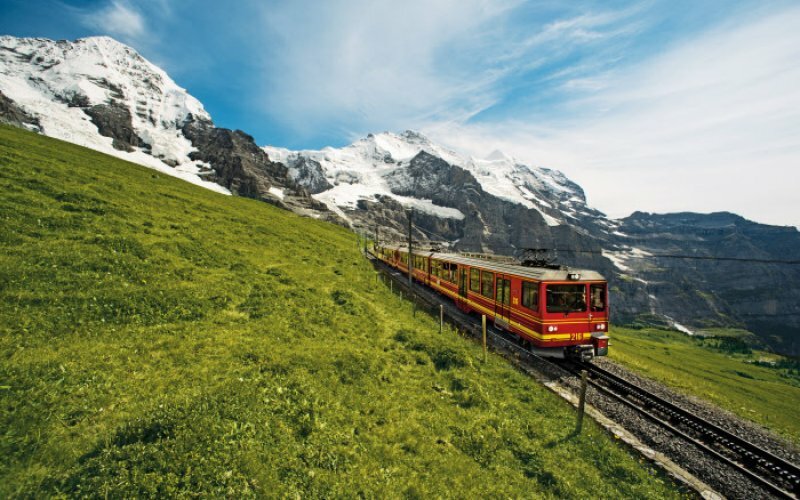 Attractions: Nine kilometres of railway track from Kleine Scheidegg, close to 1400 metres in altitude, a little over seven kilometres within the mountain tunnel; Ice Palace, Ice Gateway, Sphinx viewing platform, walks in the eternal snow, Alpine research exhibition in summer. 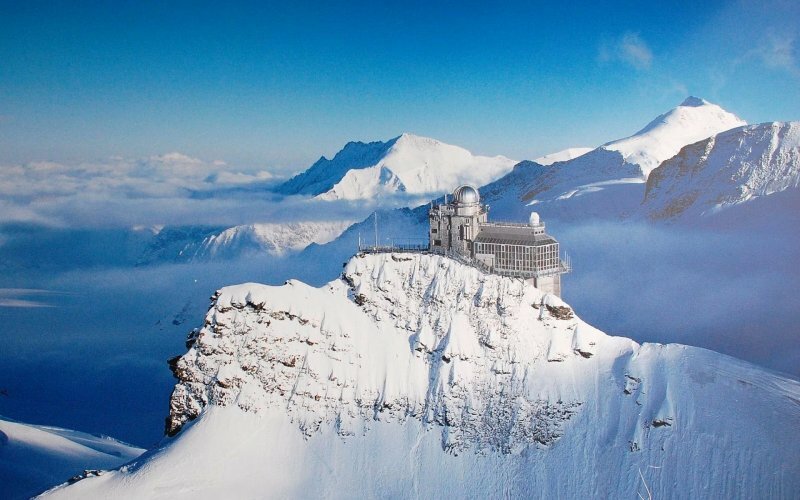 The Jungfraujochbahn is the highest railway station in Europe at 3454 metres above sea level. 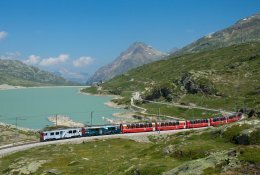 The train station offers wonderful views over the Swiss Alps and the Aletsch Gletscher. Trains depart from Interlaken East station. 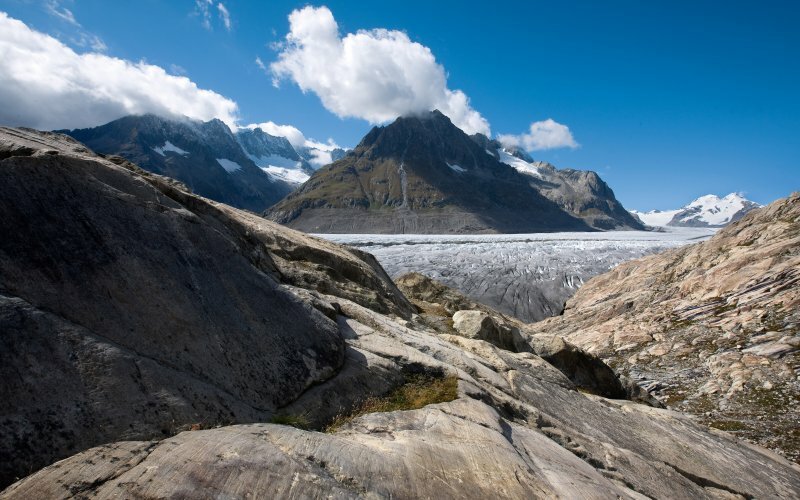 It's possible to make a round trip by travelling to the Jungfraujoch via Lauterbrunnen and Kleine Scheidegg and returning via Kleine Scheidegg and Grindelwald. 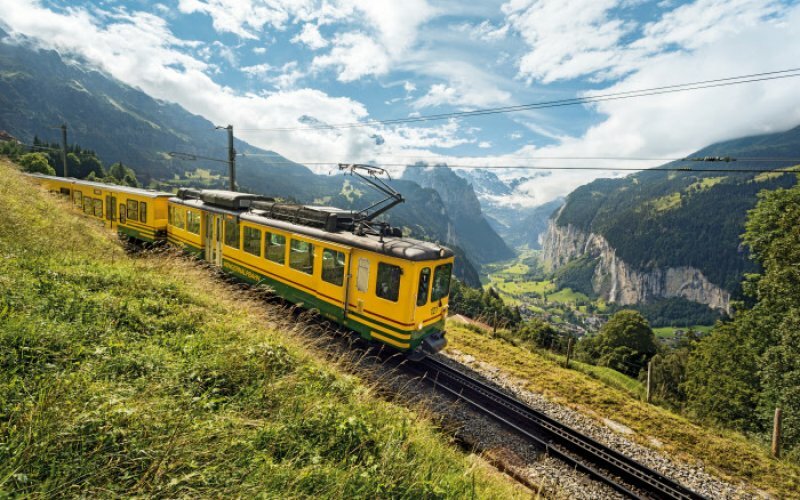 No catering onboard, there are however restaurants on the Jungfraujoch, Kleine Scheidegg and some other intermediate stations. 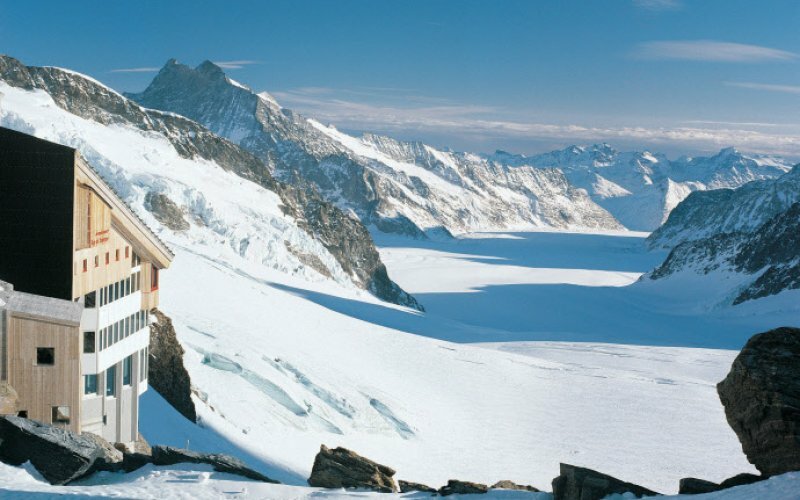 Dogs are accepted on the Jungfraujoch Railway. Small dogs in a bag or bench travel for free, larger dogs pay half the adult fare. Dogs have always to be on a leash. Limited luggage space available. 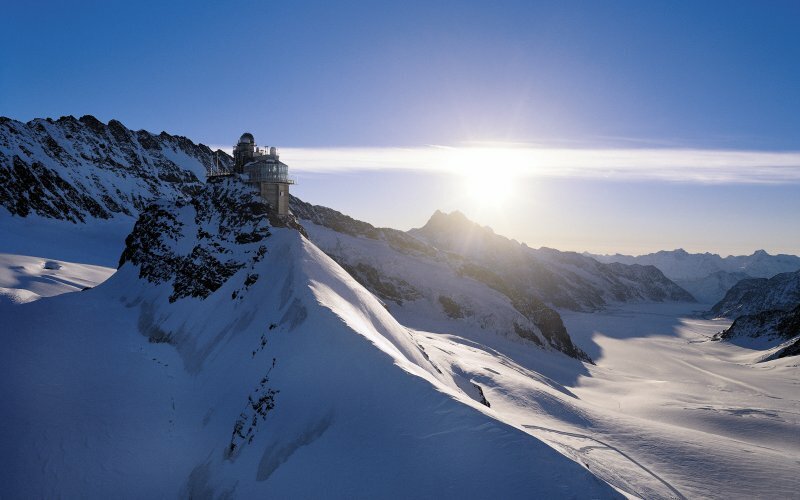 There are luggage lockers in Interlaken to store you large luggage so you can travel up the Jungfraujoch light. 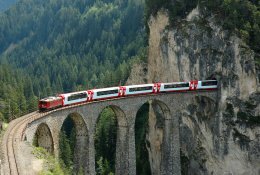 When you're making more train journeys within Switzerland it's advisable to book the Swiss Travel Pass. 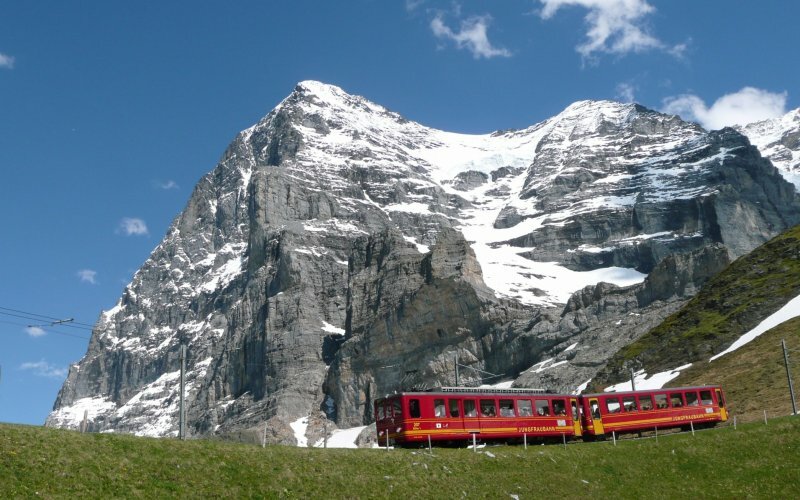 Interrail and Eurail are not valid on the Jungfraujoch. 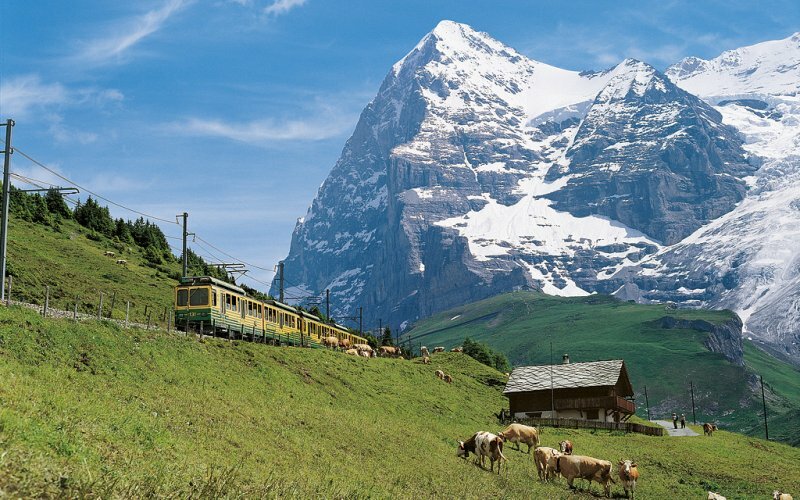 Eurail gives a discount of 25% on the Jungfrau Railways.